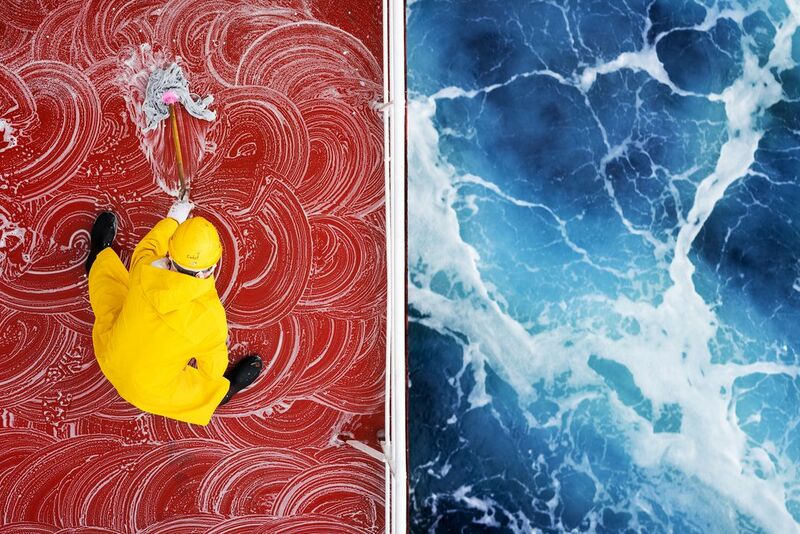 A seafarer cleaning a ship red deck with soapy water while ship was sailing in the ocean. This view was captured from above to show the contrast between the ship red deck and whirling blue sea. Date Uploaded: Nov. 23, 2017, 3:51 a.m.